As you all may have figured by now, Irene is Satomi’s best friend. She met Irene back in elementary school through a mutual friend, Yuka. 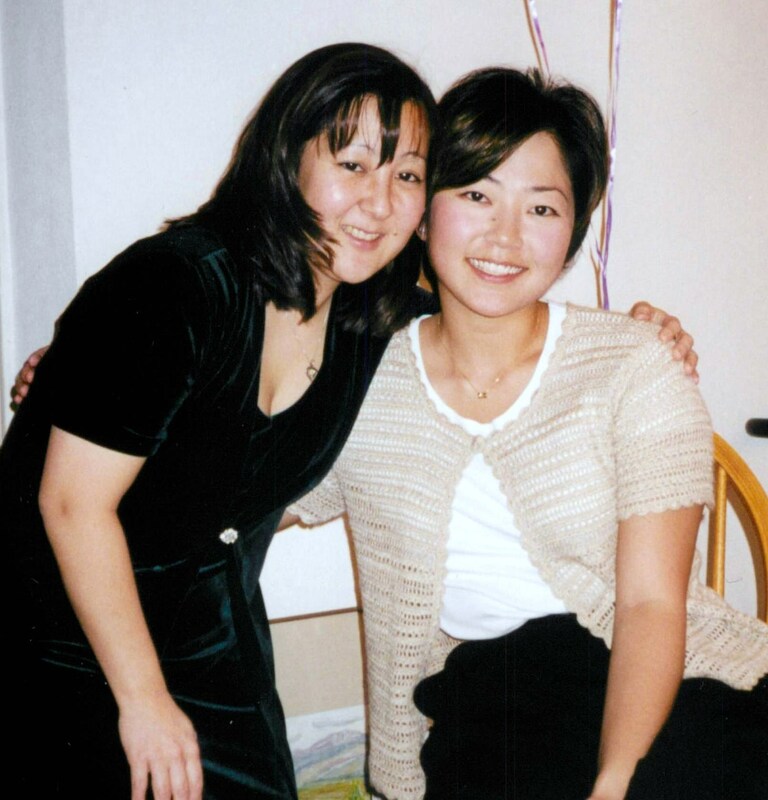 At the time, they didn’t know that there were to become best friends until they met again at Yonemoto’s Physical Therapy. They worked together then, went to Physical Therapy school at CSU Long Beach and worked together again at Tustin Rehab Hospital. 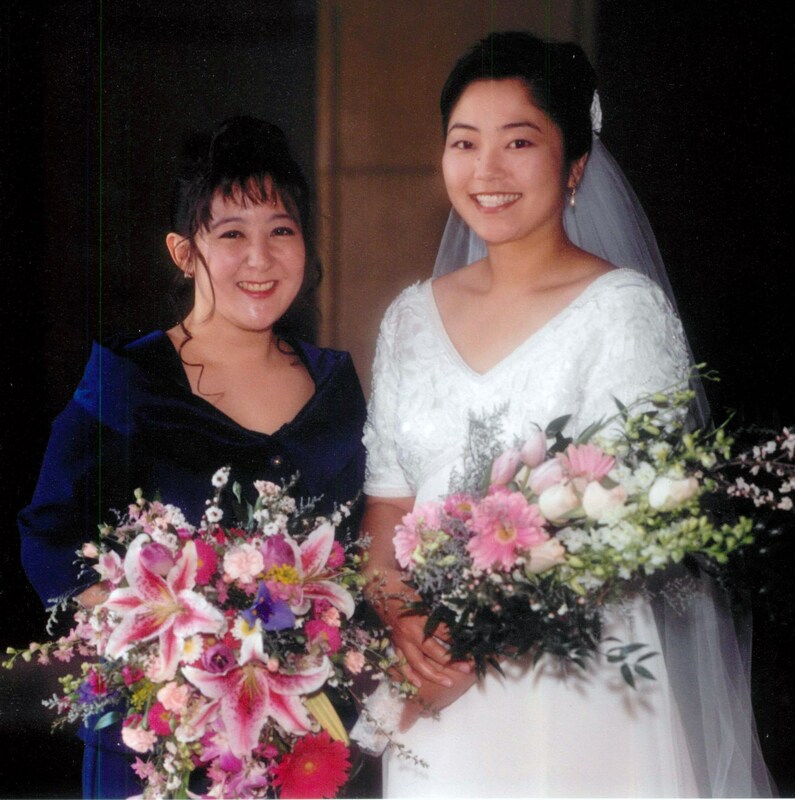 Satomi was Irene’s maid of honor and Irene was Satomi’s. Here are a few pictures of them over the years. 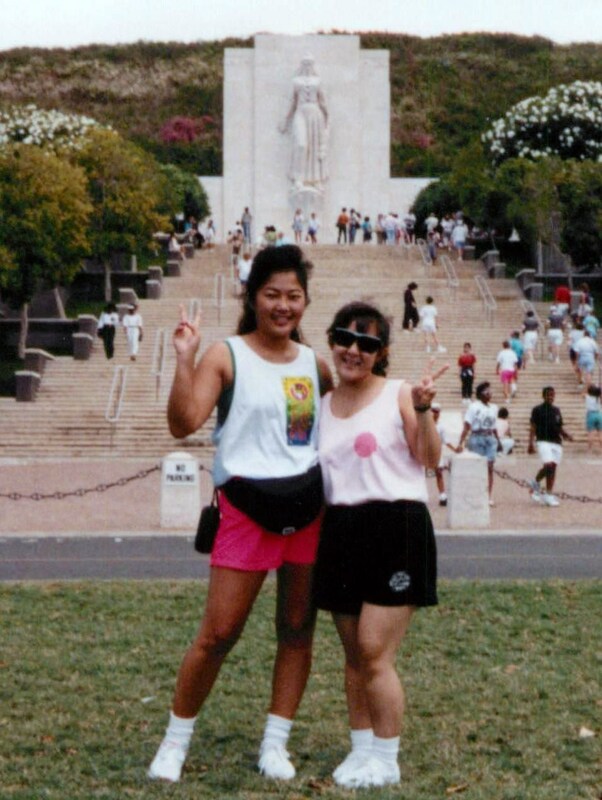 Here they are in Punchbowl on the Island of Oahu in Hawaii. A photo from a Halloween Party from the early days at Tustin Rehab. Irene’s wedding picture with her Maid of Honor. Irene’s birthday thrown at Satomi’s Condo. Satomi loves Irene and trusts her whole-heartedly. Irene has been to our home more often than anyone and her devotion to Satomi is without question. We are all so lucky to have her with us throughout this terrible process-She is family to us. I actually met her a couple of times. Not sure if she remembers me but I wanted to say “Hello”. Satomi always talked about you. I met Satomi and Irene when I was Director of Rehab at Tustin Rehab. Satomi later worked for me at WMSA on a per diem basis. Both of these ladies are not only excellent therapists but wonderful, kind and caring women. I have had many employees under my watch and these two ladies are exceptional. Satomi was always a force to be reckoned with. Satomi could move patients from point A to point B like no other. She used her low center of gravity to her advantage. I never worried when Satomi and Irene were working. Anyone who has worked with these two ladies is blessed. It is a honor to know you both. I have thoroughly enjoyed the photos. Satomi has the most infectious laugh. Just saying her name makes me smile. I LOVE your dance photos. I never knew of your hidden talent. No surprise….you are so amazing. Sean…THANK YOU for taking such good care of Satomi. You are her rock.